At Kangaroo Smiles Pediatric Dentistry, Dr. Mona Beylin and the entire Kangaroo crew strive to provide dental hygiene information for parents and caregivers that is practical and easy to implement. 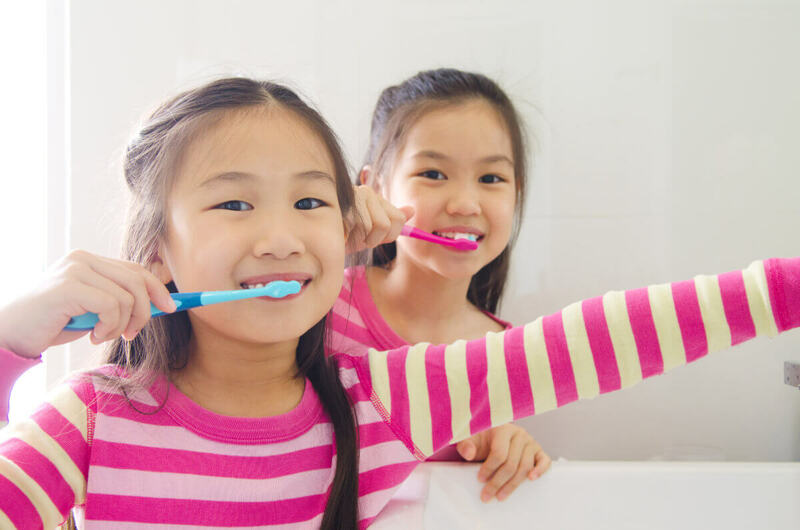 Dental hygiene for kids is an essential foundation for positive dental health. Whether you’re teaching dental hygiene to preschoolers, tweens, or in-betweens, it doesn’t have to be complicated. All you need is a few simple steps to ensure optimum dental health and wellness for years to come! As parents, we go above and beyond to ensure the overall health and safety of our children. Thankfully, when it comes best oral hygiene practices, there are easy ways to implement life-long habits. According to the Center For Disease Control and Prevention (CDC,) tooth decay is one of the most prevalent chronic condition of childhood in the U.S. Approximately one and five children between the ages of five and 11 have at least one untreated decayed tooth. You can find more important children’s oral hygiene facts on the CDC website. According to the American Academy of Pediatric Dentistry, a child’s first visit to the dentist should take place by the first birthday or the emergence of the first tooth. The earlier you introduce your child to the dentist, the better. Not only will children become used to the routine of visiting the dentist. Parents will also receive resources early on so they can jumpstart best dental hygiene habits. It’s not uncommon for parents to wait for baby teeth to emerge before beginning dental hygiene care. Did you know you can start prior? Dr. Mona suggests using a clean washcloth or gauze to run over your baby’s gum line. This keeps bacteria from settling and keeps teeth and gums clean. More is not always better! This is especially true with toothpaste. Get your little one started with a rice-grain size amount of toothpaste that contains fluoride. As toddlerhood transitions into the preschool years, the amount of toothpaste can be upgraded to the size of a pea. It’s important that your child use an age-appropriate toothbrush. Find a toothbrush that fits your child’s hand and contains soft-bristles. Many parents supervise their little ones as they brush. When they reach a more independent stage, children may be left alone to do their own brushing. Even as children age, though, it’s a good idea to check in on how well your child is brushing. Make sure she or he is not using too much pressure and is getting to the gumline. Monkey see, monkey do! What better way to encourage dental hygiene for kids than to jump in alongside the fun? Not only will this ensure that your child is brushing and flossing correctly. It also helps you stay accountable for your own dental health. Maintaining six-month dental hygiene appointments allows Dr. Mona to monitor the development and overall dental health of your child. During these appointments, recommendations such as SDF fluoride treatments, sealants, and other preventative methods can further protect your child’s oral health. If you’ve been searching for a pediatric dentist in or near Lowell, Kangaroo Smiles Pediatric Dentistry is the perfect place for safe, trustworthy, and comprehensive dental care. If you’d like to schedule an appointment, call us any time at (978) 425-1496.